The alarm system protecting former President George H. W. Bush's Houston home did not work properly for more than a year starting in September 2013, according to a Department of Homeland Security Office of Inspector General report to be released today. During the 13 or more months the alarm was inoperable, the United States Secret Service (USSS), which is responsible for the security of all former pre‎sidents, their spouses and their residences, assigned an employee to a "roving post to secure the residence," the report says. No breaches occurred. It is not clear precisely when the alarm failed, leaving the possibility that the 41st president and his wife, Barbara, were home without the protection of the alarm or the additional personnel, the report says. The Secret Service's Technical Security Division purchased a replacement system in January 2014, but it was not installed until December, 11 months later. The faulty alarm system was originally installed in President Bush's residence in 1993, the year he left office. In 2010, a Secret Service employee determined the system "had exceeded its life cycle" and recommended it be replaced, the report says. But the request was denied for an unknown reason. "Limited upgrades" were made in 2012. 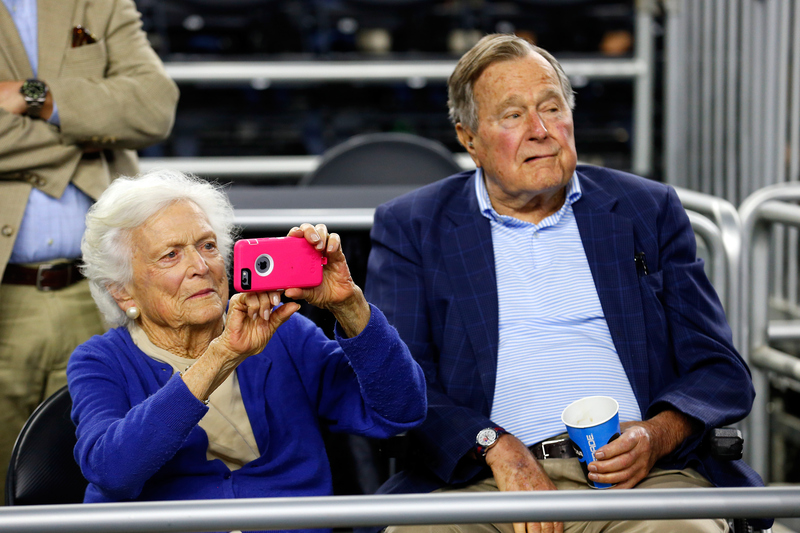 Jim McGrath, a spokesman for former President Bush, told CBS News, "George and Barbara Bush have total confidence in the men and women of the Secret Service. Their trust in them is as unshakable as it is unbreakable." The inspector general report, which is partially redacted, also raises concerns about security at other former presidents' residences. The presidents' names are blacked out in the report. A Secret Service official described security equipment at one former president's home as showing "signs of impending failure." The report was prepared by Homeland Security Inspector General John Roth and addressed to Secret Service Director Joseph Clancy. It recommends the Secret Service "review security equipment" and "evaluate the process for tracking maintenance requests" at all protectees' residences. Director Clancy concurred with those recommendations and said an assessment of protectees' residences was completed in January. His agency has also implemented a new process to track maintenance requests. "With these fixes in place, we believe the Secret Service will more effectively meet its mission to protect the lives and homes of our former presidents," Roth said in a statement. But Utah Republican Jason Chaffetz, who chairs the House committee charged with overseeing the Secret Service, isn't convinced. "I'm glad they know about it now, but for more than a year we had a former president of the United States whose basic alarm system wasn't working. Are you kidding me? That's unbelievable," he said in an interview with CBS News. The USSS has been reeling after a string of embarrassing events tarnished the agency's once sterling reputation. Inspector General Roth said his office is also looking into the 2014 fence-jumping incident and the March 4 incident in which two agents drove an official vehicle through an active bomb investigation on White House grounds. "They've got to get their act together and get it together fast," Chaffetz continued.